Microsoft typically releases updates once per month. If a computer does not receive updates, or the updates fail to install correctly, the computer might be vulnerable to security exploits that it would be protected from if the updates were installed. Therefore, it's critical to the security of your client computers that you verify updates are regularly installed. The Windows Update window appears. Click the View Update History link. 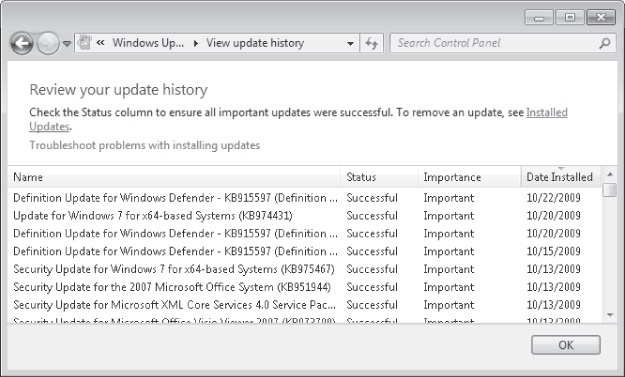 The View Update History window appears, as shown in Figure 1. To view the details of an update, double-click it. You can use WSUS or Configuration Manager 2007 to monitor update installation throughout the computers that you manage in your organization. 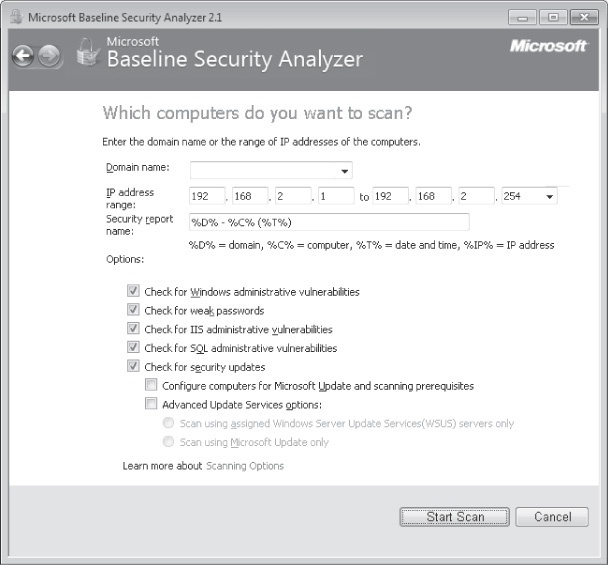 To audit computers on a network-by-network basis (including computers that are not members of your AD DS, but that you do have administrative credentials to), you can use the Microsoft Baseline Security Analyzer (MBSA). As shown in Figure 2 MBSA scans a network to find computers running Windows, connects to them, and checks the current update level. For more information about MBSA and to download the free tool, visit http://www.microsoft.com/mbsa/.